The super team vs. super team smackdown you've been waiting for! It all comes down to this! 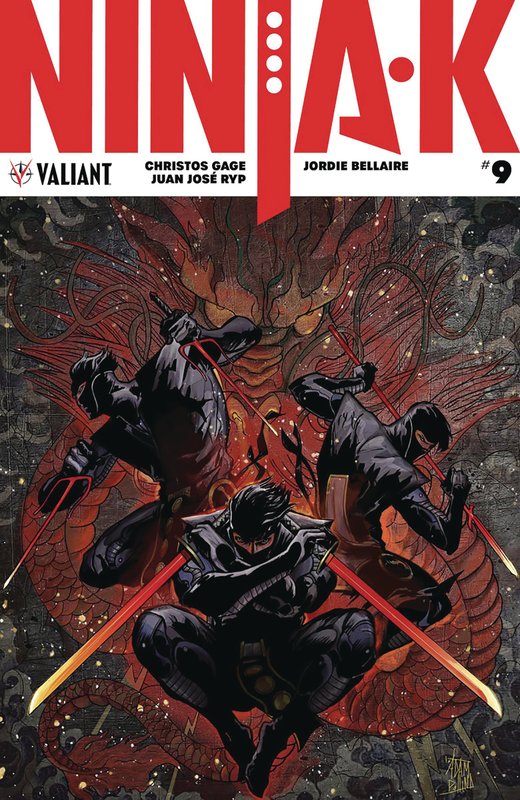 Ninjak - plus his black-ops backup squad of Livewire, Punk Mambo, Dr. Mirage, and GIN-GR - have been sent into Mexico City to destroy an indestructible target! But their quarry - The Jonin, the Ninja Programme's seemingly ageless former sensei - has assembled his own strike force of improbable powers to meet them head on! Now, the biggest hero-versus-villain showdown of 2018 is about to reach a fever pitch in the stunning finale to 'THE COALITION' from renowned writer Christos Gage (Netflix's Daredevil) and incendiary artist Juan Jos? Ryp (BRITANNIA)!